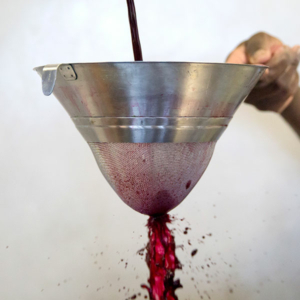 All our juices are cold-pressed and lovingly made by hand from our smallholding in the beautiful Cape Winelands. We meticulously go through each of the thirteen steps below. You can rest assured that you will find no chemicals, flavourants, colourants, preservatives or added sugar in our juice – ever. 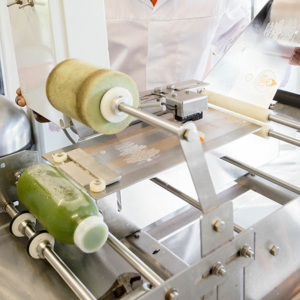 A vast array of produce is used across the eighty plus juices that are created in our juice facility. 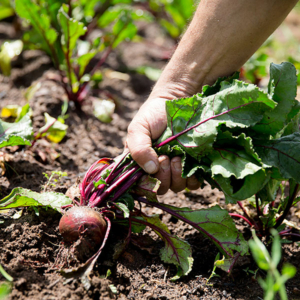 Our suppliers are carefully selected based on their quality and farming philosophies and we source much of our produce from organic and farmers in the Helderberg Basin. In total we work with 55 different suppliers to bring our juice to your doorstep! 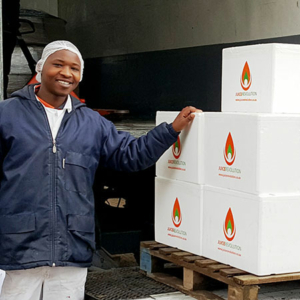 Our produce is stored in a temperature controlled, cold room immediately upon receipt. 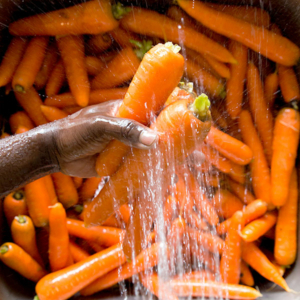 Before juicing, each item is cleaned of farm soils and then washed in ozonated water, a very powerful disinfectant. Ozonated water is created when a high voltage discharge splits an oxygen molecule (O2) into two atoms (O + O), which is combined with another oxygen molecule (O2) to form ozone (O3). When contaminants such as bacteria or viruses make contact with ozone, they are destroyed completely by oxidation. In so doing, that extra atom of oxygen is consumed and there is nothing left…no bacteria…no virus…no extra atom, only oxygen. Fruit and vegetable juices are cleansers, builders and regenerators of the human body. They contain all the amino acids, minerals, salts, enzymes and vitamins we need, provided that they have been properly extracted. Like the most valuable things in life, the vital parts of fruit and veggies are the most difficult to reach, being hidden deep within the cells of the fibres. 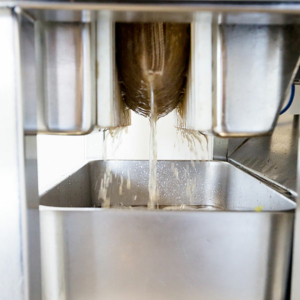 In order to ensure that these vital elements persist into our juice we use a shredder that cuts the fibres of the raw produce down to a cellular level splitting open the cells and liberating the atoms and molecules into the resulting pulp. We then express the juice from the pulp by using extreme pressure exerted through a hydraulic press technology that minimises oxygen and heat so little oxidation occurs during extraction. 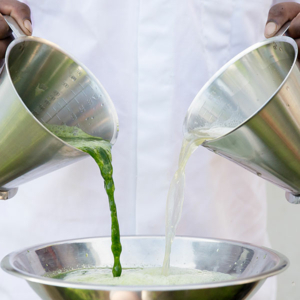 This method produces the longest lasting, highest quality unpasteurised juice, rich in colour, flavour and nutrients. It’s as close as you’ll get to what Mother Nature intended. 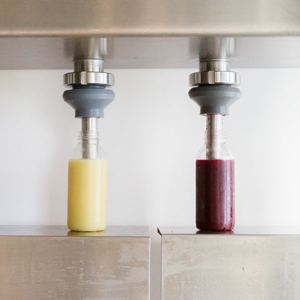 Our juice is filtered prior to blending to ensure that it is completely free of fibre and any produce particles that could have fallen into the juice collection tray in the pressing process. You’re paying for pure juice after all. We juice each type of produce separately to reduce cross contamination and then, once juiced, combine our recipes by hand in small batches. We spent an entire year perfecting our recipes down to the millilitre. We take a lot of time and consideration when ever we introduce new recipes. Our customers will be the first ones to tell you that this process makes all the difference! 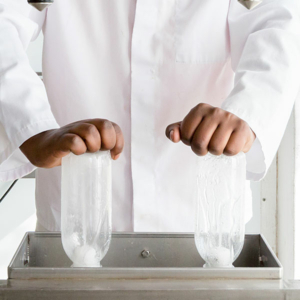 We rinse our bottles with ozonated water prior to filling to ensure they are free of any dust particles. Only the best in very step will do. Our bottles are filled using a custom-designed filling line complete with capper and conveyor. We invested in this capacity as part of our drive to get the juice into the bottles as soon as possible. This has been the hardest step in our process to master. Our semi-automatic labeller applies one label at a time; the odd one has a few air bubbles or is a tad to high or low. Hard for a bunch of perfectionists to swallow! After filling our bottles, the cold pressed raw juice has a shelf life of 2 to 3 days but as this time elapses the juice loses nutritional value. In order to maintain the pure raw goodness in our juice and prevent nutritional degradation we blast freeze our juice as soon as it is bottled. Blast freezing is a rapid freezing technique which drops the core temperature of our juice down to -30°C in under 120 min. 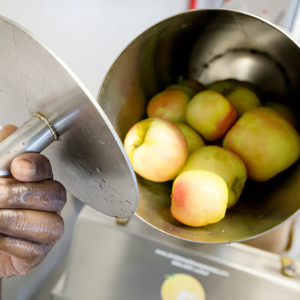 Not only does this allow us to lock in the vitamins, minerals and enzymes, but this technique also maintains our juice’s organoleptic (taste, colour and smell) qualities. Once blast-frozen, it is stored at a consistent -20˚C to guarantee that it retains all of its nutritional qualities until it is delivered to your door. 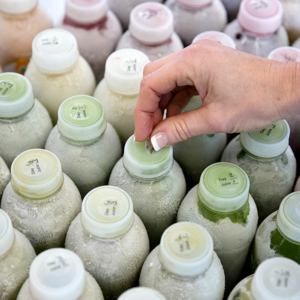 If you’re on a juice cleanse we’ve made it ‘paint-by-numbers’ easy for you. Each bottle is marked with the day and juice number and the boxes are carefully checked for accuracy prior to dispatch. With unique juices in each of our five juice cleanses, and seven lifestyle boxes we can’t afford to make a mistake. 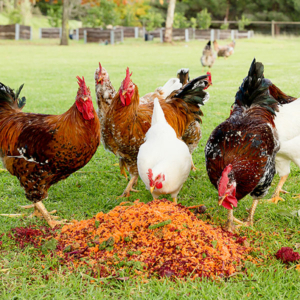 The pulp from our juicing process goes to our free range chickens every day. They give us the best eggs with the brightest yokes you’ve ever seen!